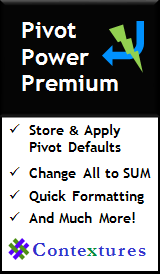 Do you want to learn more about Excel functions? Even the functions that you use every day can have hidden talents, and pitfalls that you aren't aware of. And there are so many functions, that you probably only use a fraction of them. Every day, from January 2, 2011 to January 31, 2011, there was an article on the Contextures Blog, featuring one of the Excel functions. 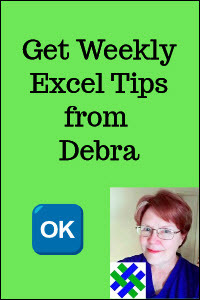 You can read the articles there, and watch the daily Excel Function video. To see how the Excel functions work, you can download the 30XL30D sample files, from the daily Contextures Blog articles. The files will be in Excel 2010/2007 format, and zipped. Day 01 - EXACT -- check for an exact match between text strings, including upper and lower case. Day 06 - FIXED -- round a number and return the result as text. Day 25 - REPLACE -- replaces a specified number of characters in a text string, with new text. 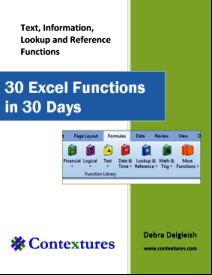 If you don't have time to dig through all the old blog posts, you can have all of the 30XL30D content in an easy-to-use single reference file -- the 30 Excel Functions in 30 Days eBook Kit. To see the functions in action, you can watch the short video tutorial that is posted in each blog article. Or watch this HYPERLINK video.